Operators on my layout sometimes wonder how far they can pull out cars from a station track onto the main line when switching. 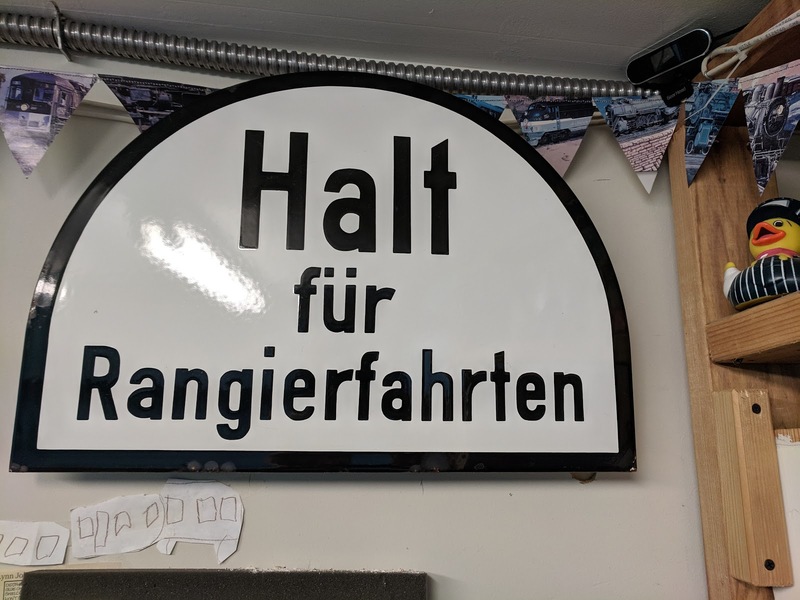 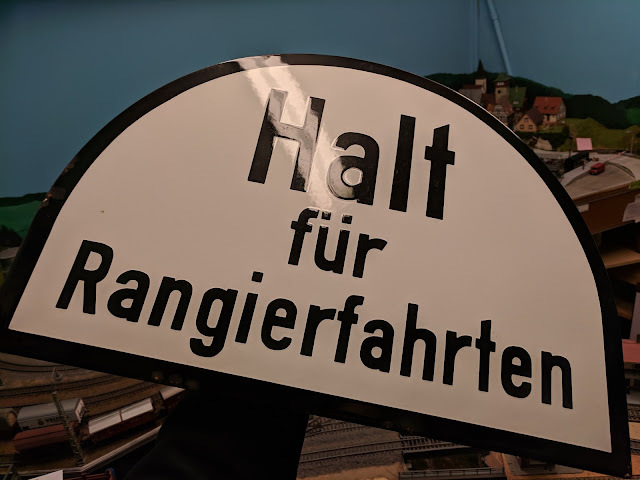 I always tell them, "you may go until you reach the Halt fuer Rangierfahrten sign". 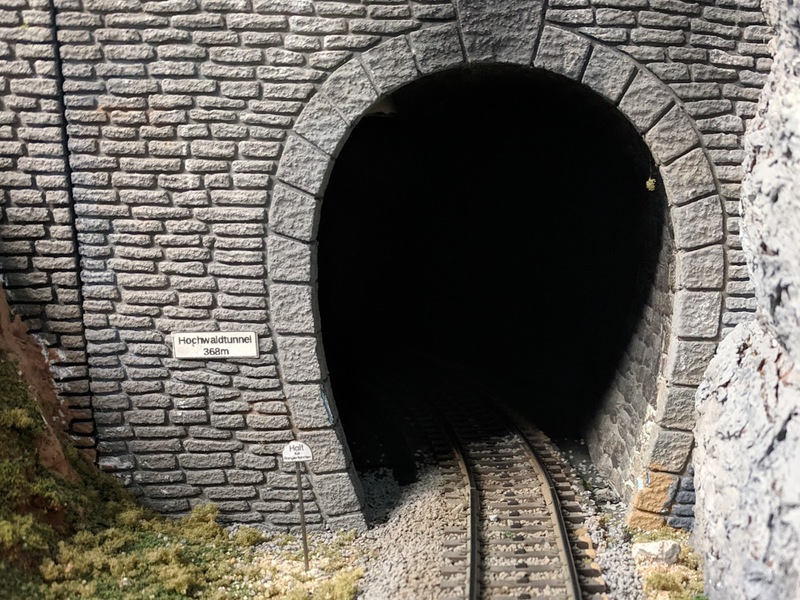 Here's one right in front of Hochwaldtunnel. 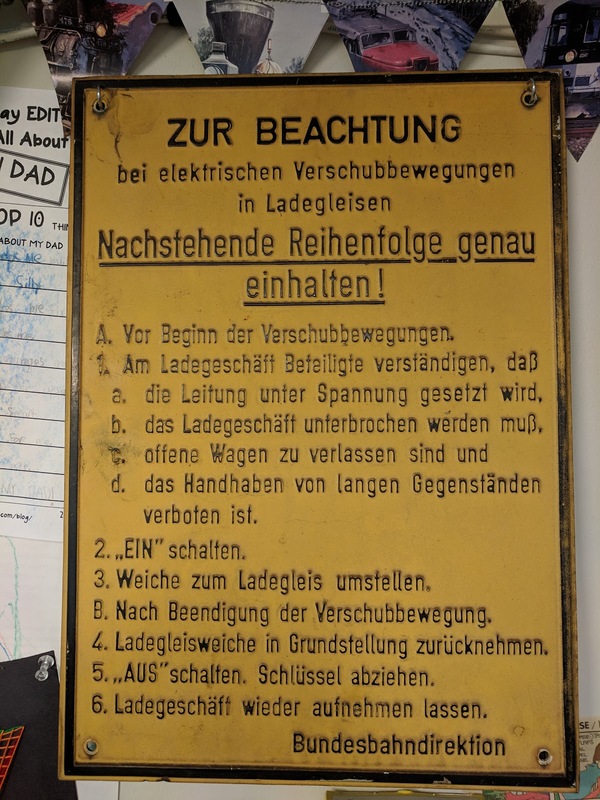 Hard to read? Not anymore, since the original is now on the wall of the layout room. 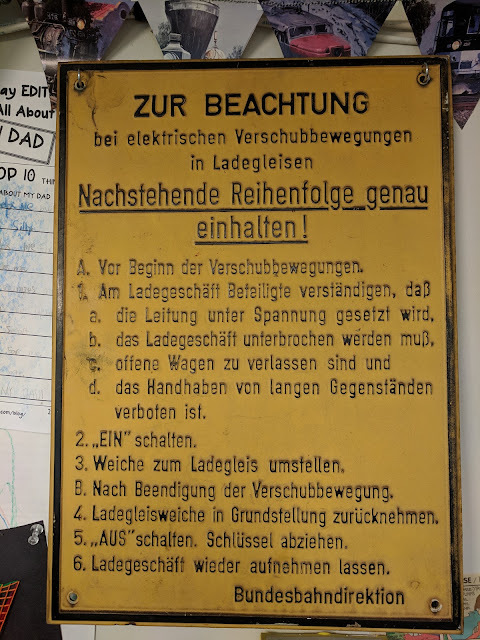 While at it, this sign was also fun, so it found its way to me.